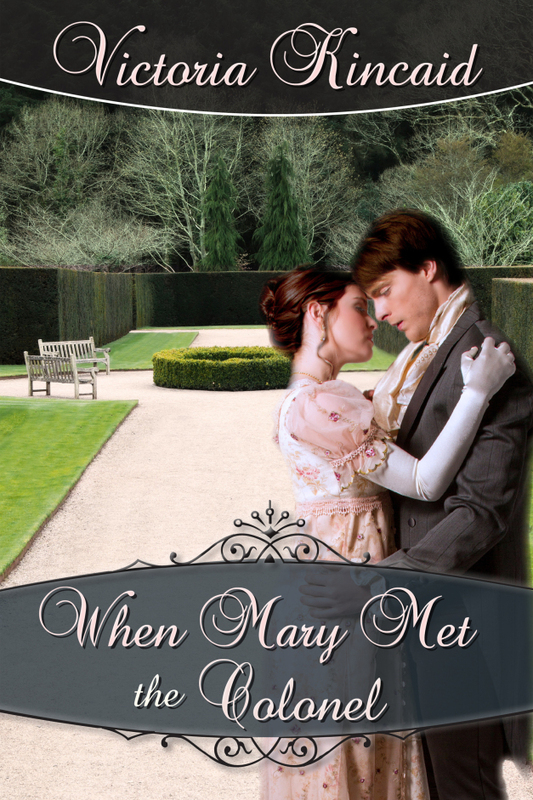 When Mary Met the Colonel is the perfect novella to read between some Darcy and Elizabeth centered books. It is romantic, interesting and loving. The characters are different from the ones we are used to of course, but their love doesn’t pale in comparison, it is as strong as the one we usually see in Darcy and Elizabeth. For me, one of Victoria Kincaid’s greatest achievements in this book was the development of Mary’s character and making her the perfect bride for Col. Fitzwilliam. At first sight, they have very different interests, and it is not quite obvious how they could be a truly matched couple, but the author mastered this adversity in a perfect way. I enjoyed seeing Colonel Fitzwilliam show Mary that she mattered, that she was not inferior to her sisters, only different, with different qualities. I liked how he was able to make her change, to give her the confidence she needed to become more invested in improving her appearance and her company. I liked that she was not like Elizabeth. I have often seen Col. Fitzwilliam be paired with ladies who are similar to Elizabeth, and for me it was refreshing to see characters who were very different from Darcy and Elizabeth because, truth is, they should be. It is true Darcy and Elizabeth are the most important characters in Pride and Prejudice, but there is so much more to it. There are so many characters who are interesting because they are different. I also liked seeing Mary’s devotion for the Colonel and her interest in his stories and his personality. To her Col. Fitzwilliam is not just a dashing red coat who is amiable at all times, he is more than that, and he deserves to be known and loved for who is underneath the regimentals. It gave me an enormous pleasure to read this novella and to be in the company of these wonderful characters. I have enjoyed many of Victoria Kinkaid’s books, but none gave such a feeling of freedom and happiness as this novella. Yes, I thought Rita was very thoughtful! Thank you! I’m so glad you liked it. Lovely review Rita! You mentioned a lot of good points about this story. I love Victoria’s books and I can’t wait for her next one too! Thank you, Claudine! The next one should be out shortly. Hi Vesper, Thank you for your interest and support! I agree. The Colonel really saw Mary and he brought out the best in her and I loved how she was able to give back in her own way. Lovely story. Hi Sophia, I’m so glad you enjoyed it. Thanks for your comments! I love Victoria’s books but haven’t had the pleasure of reading this one yet. I love seeing what different authors do with Col,Fitz. and pairing him with Mary is an unusual choice,so I’m looking forward to seeing how their romance pans out. In Victoria’s capable hands il sure it will be ever so sweet!! I’m so happy you think my hands are capable :). Thank you for your interest! Thank you, Rita, for such a thoughtful review. You made my day! What a lovely review Rita. It expresses everything I feel about this tale too, but so much better than I’d ever be able to. Sounds like a great story! I like the idea of pairing those two and look forward to seeing how their relationship grows. Wonderful review. Definitely on my TBR list. I like the idea of having Mary as the main character. I’ll certainly be putting this on my TBR pile. I’ve always felt sorry for Mary. Her two oldest sisters were close, as were her two youngest sisters. She seemed to get lost in the shuffle. I love the idea of her finding her HEA with the lovely Colonel Fitzwilliam.